In addition to our catalog of drinking water and everyday use filters, we offer specialty filters designed for a variety of specific uses. We sell filters for washing machines, sediment filters for removing large sediment, iron stain prevention systems, bacteria-removing emergency filters, and add-on filters to increase the filtration capabilites of a current filter setup. 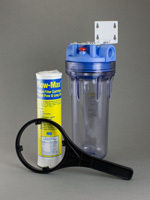 Other unique use filters include our line of Garden Hose Filters and Sprite Shower Filters. 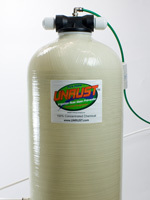 We offer washing machine filters to protect your washer and clothing from particulate such as dirt, sand, and rust. 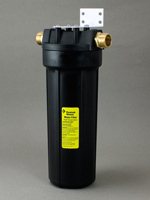 Add-On Filters are a great way to add a dimension to your current water filter or to install an inexpensive specialty filter where no filter exists. 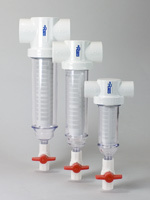 Siphon Filters for camping and emergency use, providing lab-certified removal of e.Coli, Cryptosporidium, Giardia, and other biological contaminants. 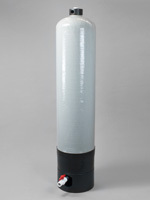 This is an effective and easy-to-maintain sediment filter for large sediment. It's simple to clean and reuse, with a clear cover providing a quick view of collected sediment. The patented Sand Trap offers a unique way to separate and settle out sand, shale and oxidized organics by directing the water through an internal swirl chamber, then into a diverting plate — causing heavier particles to settle to the bottom of the tank for removal via a simple blow down valve. This is an excellent cartridge-style unit for light sediment applications and for prefiltering devices like softeners, upflow filters and ultraviolet purifiers. 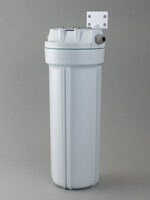 This filter can be used with service flows of up to 10 gallons per minute.